On the 1st of September 2018, we were honoured to host the first of our NEW Anvil Baby Blessing & Naming ceremony which took place in the original marriage room at Gretna Green Famous Blacksmiths Shop. The adorable 3-year-old Dana Mae, surrounded by her parents and 40 of her most treasured family and friends, received fond wishes to grow and flourish. Her pure smile was infectious and warmed everyone’s hearts. She was so happy and enjoyed her special moments. The atmosphere was filled with love and joy. The ceremony was performed by the minister, Mark Smith, who was also the minister for the wedding of Dana Mae’s parent, Mr & Mrs Dutton – the happy couple married here three years ago. They chose Gretna Green again to mark another milestone in their family’s love. 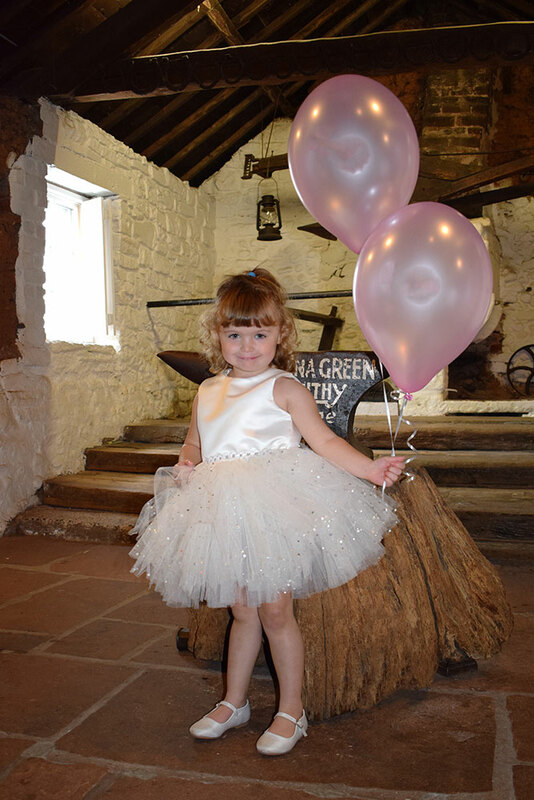 To create a unique experience for their daughter, Dana Mae, we have launched a new family ceremony –the first Anvil Baby Blessing in the original home of love and romance at Gretna Green. And so the anvil has helped to forge yet another family milestone at Gretna Green. Why do you choose Anvil Baby Blessings & Naming Ceremonies? 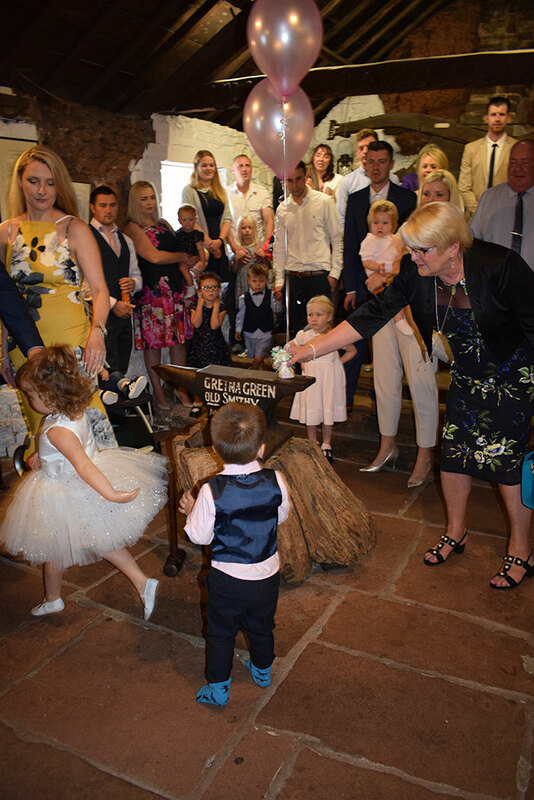 As an alternative to traditional Christenings and Baptisms, the Anvil Baby Blessings and Naming Ceremonies at Gretna Green offer an intimate experience in a unique venue. Immerse yourselves in the historical heritage of love and romance. Take the chance to have that wild family reunion and come together. Do we offer catered buffet packages after ceremonies? Besides, we also offer splendid catered buffet packages for some post-ceremony refreshments. 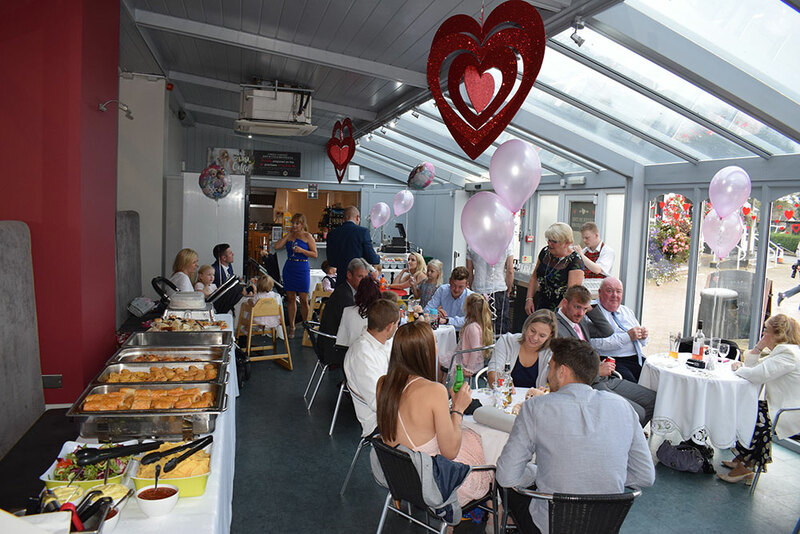 It includes a finger buffet for 20 people, including 3 hours exclusive use of our licensed LOVE Conservatory next to the Famous Blacksmiths Shop. If you are looking to bring more people with you, we could cater for packages up to 50 guests! If you would like to know more about our new anvil Baby Blessings and Naming ceremony packages, please click here to find out more.